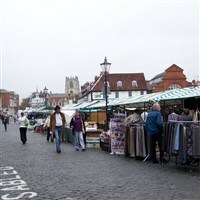 Located at the heart of East Yorkshire, the bustling town of Beverley offers a wonderful and up-market shopping experience! You will find many high street names, located in and around the cobbled streets and charming courtyards. In addition, there is an interesting selection of smaller, independent shops, an antique arcade and an array of charming cafés and restaurants!